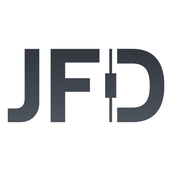 JFD Brokers - Providing you with daily insights on the financial market. Check us out on YouTube and on our website. Trade Alert Even though USDCAD is already testing and breaking slightly above the 1.3450 level, don't forget the BoC today. Even though there might not be much surprises, but there is a chance we could see CAD strengthening slightly during the interest rate announcement. Please see the chart for details. Don't forget your stop-loss. AUDUSD - 240 - Rebound and sell again? This is something for you to keep an eye on. EURGBP is currently trading between the 0.8635 and 0.8680 levels, which we monitor carefully. We need to see the pair exiting through one of those levels, before we could examine a further directional move. Please see the chart for details. Don't forget your stop-loss. This is a quick shout-out, in order to monitor some of these key potential break out levels. Please see the chart for details and potential further directions. Always have your stop-loss in place. USDCHF - 240 - Some retracement? DXY - 240 - A bit of retracement and then up again? Trade Alert USDZAR started forming higher lows and getting closer to its key resistance near 14.110. Before examining further upside, we need to see a clear break above that level, or even having the 4-hour candle closing above it. Please see the chart for levels and the alternative scenario. Don't forget your stop-loss. Trade Alert This is a quick shout-out on EURCHF, which has rallied quite significantly from the start of April. It could be risky, so try to keep your stop-loss low, maybe around the recent highs. This is just an idea, so please re-evaluate everything yourself. PLease see the chart for details. Always have your stop-loss in place. Trade Alert WTI oil is once again flirting with its upper side of the little range that it is trading in. But before examining further upside, we need to see a clear break above the 64.65 level first. Please see the chart for details. Don't forget your stop-loss. Trade Alert The chart is self-explanatory. Wait for a confirmation break first, through one of the key levels. Don't forget your stop-loss.